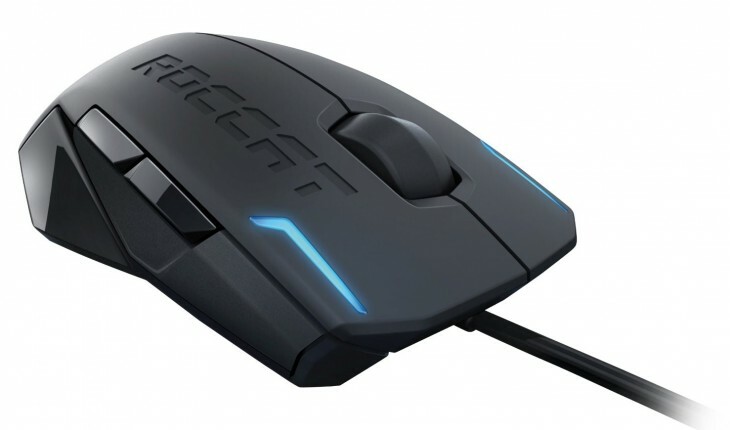 With every gaming mouse, there’s obviously going to be a bit of a learning curve, but the Roccat Kova is worth it. With its very commanding 7+2 button configuration, and a + rocker switch to give you access to an additional 8 commands, you have an entire arsenal of programmed macros at your disposal. I’m not just an avid enthusiast of playing video games, I’m a professional. I make my livelihood by beating the competition in the high-stake worlds of competitive gaming. And that’s why when people ask me which mouse I use to maintain my edge, I tell them that I put my trust in the Roccat Kova Gaming Mouse. I love how this mouse looks liked a curled up panther on my desktop, ready to unfold into a luxury stealth ride into the world of gaming. Packed full of features, the Roccat Kova Gaming Mouse offers everything for the fast and furious set of online gamers. 7+2 buttons – Using advanced techniques in ergonomic engineering, the Roccat Kova boasts a powerful 7+2 button configuration, giving advanced gamers a wide range of command options. Pro-Optical sensor – Users can configure their sensor to 400, 800, 1600 or even 3200 dpi. The patented Pro-Optical sensor can be tweaked to provide razor fast response times. ROCCAT Driver – The customized software and macro manager allows users to customize macros for games, multimedia software and work apps. Easy-Shift – The Roccat Kova offers gamers two macros for every button, easily switched to with the use of the + button duplicator. Customized Lights – Nothing adds ambience and adrenaline to the thrill of serious gaming like a stylish arrangement of mouse lights in different colors. Built-In Memory – The Roccat Koba will always remember your macro settings, meaning you can take it with you and use it on other computers without having to reprogram it. 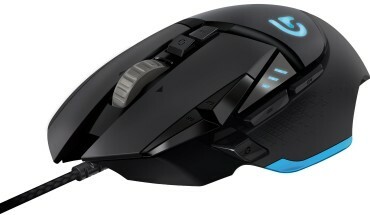 With every gaming mouse, there’s obviously going to be a bit of a learning curve, but the Roccat Kova is worth it. With its very commanding 7+2 button configuration, and a + rocker switch to give me access to an additional 8 commands, I have an entire arsenal of programmed macros at my disposal. With the Roccat Kova giving my mouse hand such a dominating advantage, my keyboard hand is free to contribute in a duet of rapid-fire high-caliber video game play. 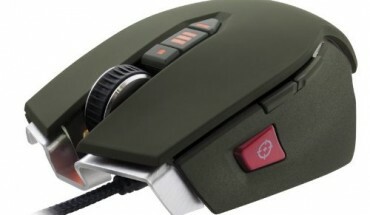 For some reason, when I choose the orange color for my lighting scheme on the mouse, it has a tendency to look a bit green. Nonetheless, I still love the twin lights on the back, which look like starship jet exhausts in a dark room.